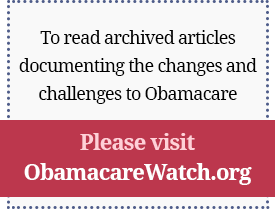 When the Patient Protection and Affordable Care Act (commonly known as “Obamacare”) was signed into law in the spring of 2010, congressional opponents vowed that the fight was not over. The most disastrous features of the new law would not take effect until 2014, leaving time for a concerted campaign to avert catastrophe. The way to spend that time, these opponents argued, was working to “repeal and replace” the law that Congress had just enacted.